A festive scene in Oaxaca is always an occasion for music and dance. Diego Rivera's chromatic colors are so vivid and saturated that they seem to emit light from the canvas. Of course, light and color go together naturally in southern Mexico. We know by the way Rivera used color here to create layers of pictorial planes that he is a modern artist. We can also admire the distinctness he brings to each figure, an affectionate recognition of this gathering. If the lavender and green decorative border reminds you of Matisse, it is curious to note that Diego Rivera was only the second artist to be given a solo exhibition at New York's Museum of Modern Art - the first was Henri Matisse. It sounds like the pitch for a novel or a screen play. She is the daughter of an influential United States senator and the wife of one of the nation's richest and most powerful businessman. He is a young Mexican artist and one of the leading artists of his generation and, by the way, an outspoken member of the Communist party who has visited Moscow on a number of occasions. His wife, also an artist, paints unconventional self-portraits that combine elements of Mexican folk art and surrealism. She was Abby Aldrich, a Quaker from Rhode Island and the dynamo behind the founding of New York's Museum of Modern Art and her husband was John D. Rockefeller, Jr. (think: Standard Oil). He was Diego Rivera, founder of a union of artists and the painter of murals in Mexico City that brought revolutionary ideas to the people, ideas as strikingly modern as his modernist aesthetics. His wife was Frida Kahlo, a painter who drew on the popular culture in her work: she met Rivera in 1927 when she joined the Communist Party. 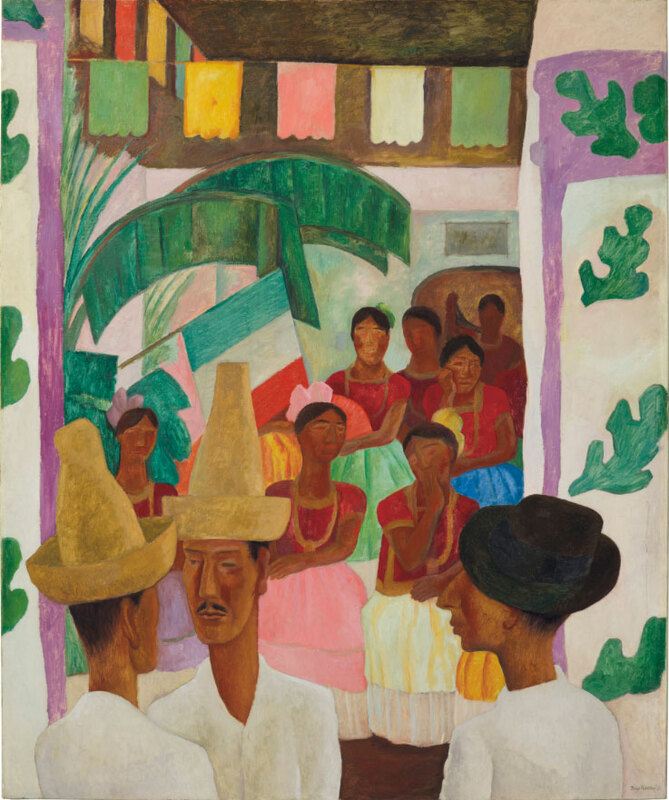 Rockefeller had seen Rivera's work when she traveled to Mexico and, liking what she saw, she decided to commission a painting from him; the result was The Rivals. Rivera painted The Rivals on board ship as he and Frida were on their way to New York to meet the Rockefellers. They were also looking forward to Rivera's New York debut, a solo exhibition at the recently opened Museum of Modern Art. Rivera was just the artist that Rockefeller and museum director Alfred H. Barr, Jr. hoped the museum would introduce to the nation and the world, a modernist a s well as one whose work embodied the Americas. When Rivera and Kahlo visited the Rockefeller home on Park Avenue, Abby's son David was impressed: "He was a very imposing and charismatic figure.." As for Abby Rockefeller, she was so pleased with The Rivals that she gave it as her wedding gift to her son David when he married Peggy McGrath in 1940. 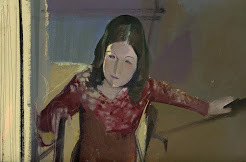 The young couple gave the painting a prominent place in the living room of their summer home in Maine, where it remained until David's death in 2017. The Rivals has rarely been seen by the public since then; the last occasion was a Rivera exhibition at MoMA in 2012. Diego Rivera - The Rivals, 1931, David & Peggy Rockefeller Collection, courtesy of Sotheby's, NYC.